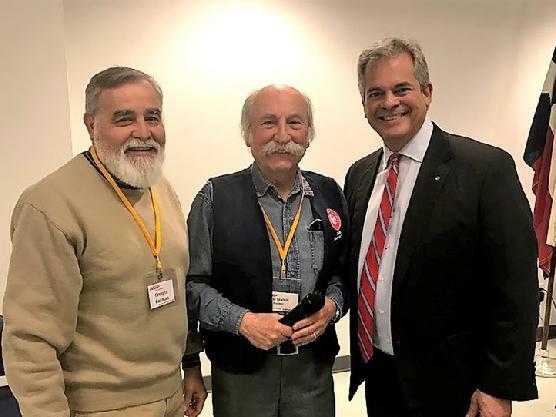 South Austin AARP Chapter 2426 is a gathering place for people whose diverse interests and experience are united in a shared spirit of fellowship through service. 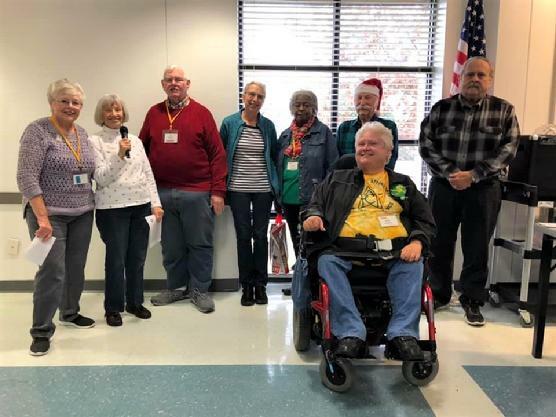 We meet every third Wednesday at at the South Austin Senior Activity Center, 3911 Manchaca Road, Austin, TX 78704 in the SASAC ballroom starting at 1:00PM and ending at 4:00PM. On Wednesday, March 20, Ms. Beth Stevens the Legal Director, Voting Rights Program, talked about The Texas Civil Rights Project and its overall major objectives associated with Immigration its related issues. She addressed Voting Rights in Texas in light of recent activities here at the Capital. Commander Mike Benevides and Captain Darren Noak of the Austin/Travis County Emergency Medical Services spoke at our February meeting. The Texas DNR PDF document (Do Not Resusicate Out of Hospital ) that is the only form not available on the Vial of Life Project website is available in PDF format below. Marilyn Totten, Mary Ragland, Al Prewitt, Barbara Fetonte, Elain Benton, Pet Skalnik, Ed Gonzalez, and Nancy Crowther. The 2019 officers were installed by Mary Ragland at the December meeting. 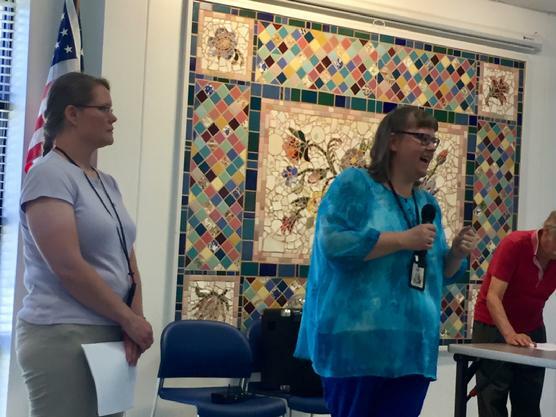 Tommi Ferguson, Capital City Village, and Stephanie Braddock, Drive a Senior South Austin, presented the July program on transportation and volunteer oppotunities for seniors. Jordan a representative of Capital Metro help AARP members file for a bus pass. Members enjoyed a great buffet of picnic foods. 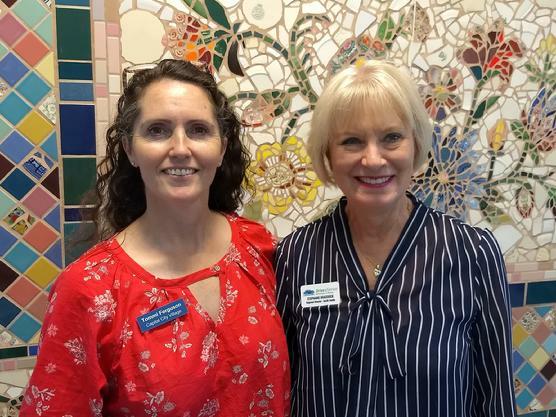 At our program on May 16 Rebecca Craig and Karen Hill provided information on Adult Protective Services, a state agency that provides help for people over 65 and disabled individuals. 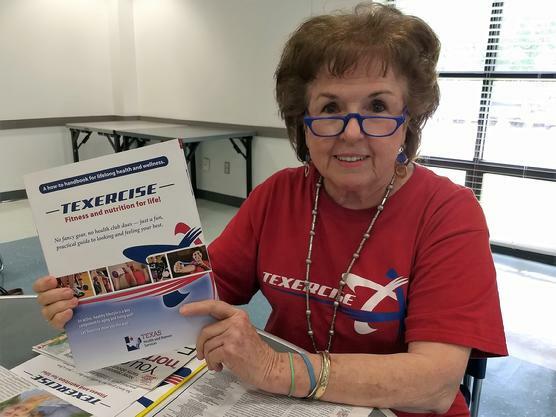 Rusty Cribbs of Texercise presented our April program with a phamplet on exercise and some exercises for members to try. The September program was be a presentede by Cinde Weatherby, President of the Austin Area League of Women Voters. The League of Women Voters, a nonpartisan political organization, encourages the informed and active participation of citizens in government and influences public policy through education and advocacy. 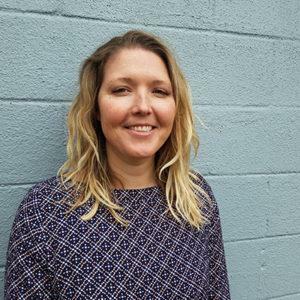 She provided updated information on recent changes to the voter id law, current issues being researched by the LWV-AA, and an upcoming conference they are hosting that will address the Austin Mayor’s Task Force on Systemic Racism. Please click on the document below for a look at an interesting report on voting in Texas and Austin. You can help us let people know about our chapter. On Facebook search for South Austin AARP Chapter 2426 and LIKE the page.